Dawn light about to break through a bank of mist, with a developing high cloud layer above. Minimalist treatment of subject, painted in layers of oil glaze with highlights drybrushed on top. 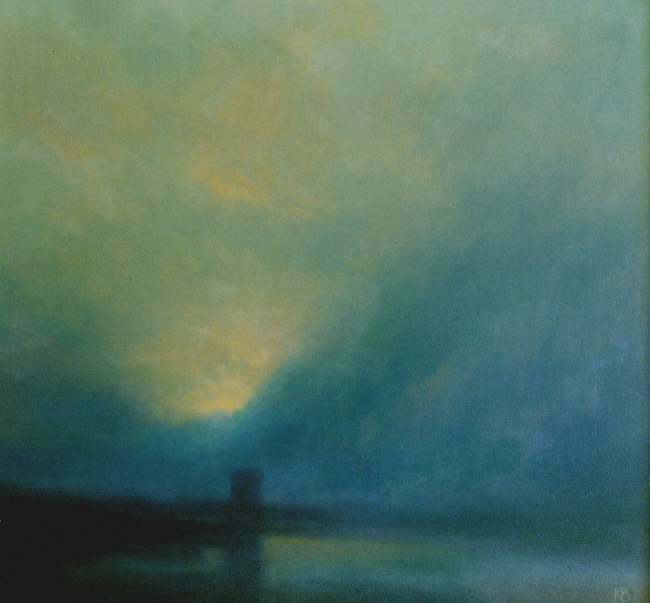 As the sun rose above the low mist pictured in the painting, a fog bow formed behind me reflecting from the sunlit mist. 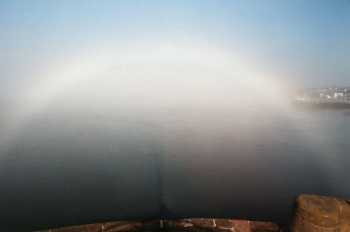 Fogbow from Broughty Ferry Pier.